Once a Nevada resident becomes an adult, he or she should have some plans in place in case of illness, accident or death. Even if a person does not feel that he or she owns anything of value, estate planning is still important. Everyone owns something of value and has preferences regarding where those things go. Moreover, nearly everyone has preferences regarding what life-saving measures they do or do not want if the time comes. The core of any estate plan is often considered to be the will. 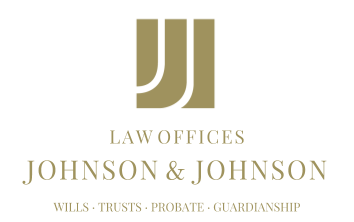 This document provides instructions regarding who will inherit an individual’s property, appoint a guardian for minor children and appoint an executor to handle these duties and his or her probate. Without a will, the state of Nevada makes these choices on one’s behalf, which could be contrary to what the individual would have chosen. The same goes for powers of attorney. Appointing someone — or different people — to make financial and health care decisions on one’s behalf can ensure that decisions are made in accordance with an individual’s wishes. Otherwise, family members will be forced to go to court in order to obtain permission to act. Deciding to obtain even a basic estate plan is only the first step. Someone familiar with Nevada’s estate planning laws can help determine how to structure an individual’s estate plan in order to achieve his or her goals. Moreover, a properly constructed plan may also provide heirs and beneficiaries with the maximum benefit from one’s estate, and family members will be able to carry out an individual’s wishes if it becomes necessary to act on his or her behalf.